Gov. 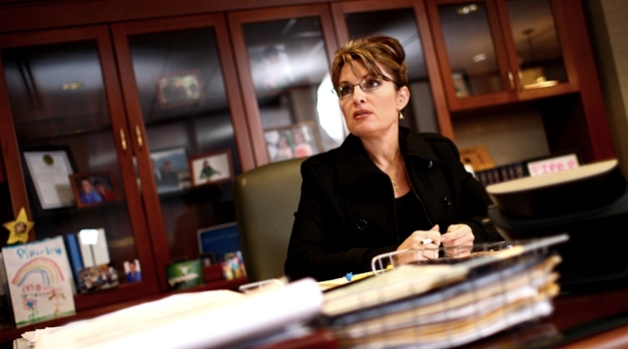 Sarah Palin will tranfer power to Lt. Gov. Sean Parnell at the annual Fairbanks picnic, July 26. 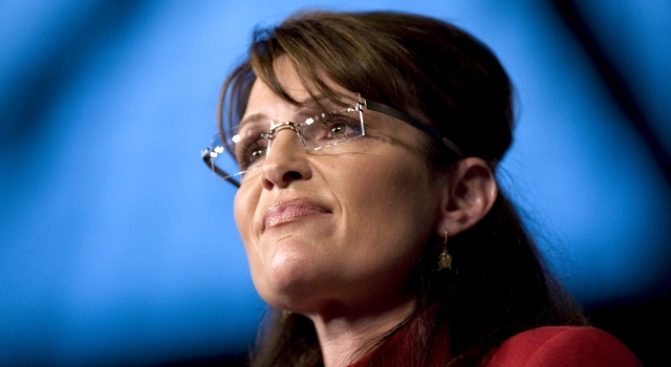 ANCHORAGE – With one day left until she steps down as Alaska governor, Sarah Palin retained an air of mystery about her future plans. And if husband and self-titled “First Dude” Todd Palin knew anything more, he wasn’t saying. Gov. Palin, speaking for less than five minutes at a Saturday afternoon picnic here, paid tribute to the military and urged a few thousand people gathered in a downtown park to remember that their freedoms are protected by those who serve. She spent much of the day under a tent, dishing out salmon burgers and hot dogs to the hundreds who waited in line for a glimpse at the governor and a free lunch. While the outgoing governor was serving one of Alaska’s signature dishes, Todd Palin put their son Trigg on his shoulders and greeted a few supporters and chatted with some of the event’s volunteers. The picnic, replete with live music and children's games, is an annual affair for the governor but it took on the feel of a goodbye celebration ahead of Palin’s resignation. Yet few here or anywhere else in the state know just what Palin is leaving state government for. Todd Palin did say that Alaska would remain their home base and indicated that, despite the millions that may come their way after his wife leaves office, he had no plan to give up his blue-collar jobs. “I’ll always be a fisherman, I’ll probably always be out working on the slope,” he said, alluding to his oilfields job in the state’s far-northern tier. The man who will become governor Sunday, Palin's lieutenant governor and ally, Sean Parnell, offered even less than the governor’s husband. That was made difficult by the coterie of staff and security around the governor. All were engaged in aggressive crowd control, keeping the gaggle of onlookers and a handful of reporters a distance away from the jeans-and-fleece clad Palin. Just exactly why she’s leaving and what she’ll be transitioning to what as a topic of intense curiosity for those at Saturday’s picnic. There were plenty of local supporters, some baring signs and one even holding up a “Go Sarah Go” t-shirt with a fishing pole. But just as at her hometown picnic Friday night in Wasilla, many of those in attendance in Anchorage were not from Alaska. Rather, they were in the state on business or for a summer vacation and interrupted their plans to see Palin in person. Doreen and Tom Barrows live in Virginia Beach, Virginia, but own a Golden Corral franchise in Anchorage and read about the event in the local paper. Perhaps not surprisingly, the outsiders seemed to treat Palin and her family with more awe than the Alaskans. Call it genuine star-power or fleeting celebrity, but some in the crowd acted like they were tweens and the governor and her family the Jonas Brothers. “Is this Bristol here,” asked a vacationing Californian named Chris Suyenaga to nobody in particular, pointing at the Palin’s oldest daughter a few feet away under the food tent. At this, the First Dude said nothing and put on his Oakleys. A few minutes later, Suyenaga whipped out his cell phone to dial a friend. “You won’t believe who I just met – Todd Palin,” he said. Not all at the picnic were swooning, however. Maurice Coyle, another city resident attending the picnic, was in that category. With two other friends, all of whom did not support Palin, Coyle lamented how his home state had become identified with a governor who was not even completing a single term.